Cruise from Szentendre to Budapest and enjoy the magnificent experience in the ’casket’ of the Danube bend, the culture, heritage and unique architecture of Szentendre, as well as the spectacular views along the Danube, and take a pleasant walk in the incomparable baroque atmosphere of Szentendre while making a full, or half day program for yourself! Discover the Retro world of the 70's: 25 pcs cars, motorcycles, bikes, household appliances, toys, room and kitchen. 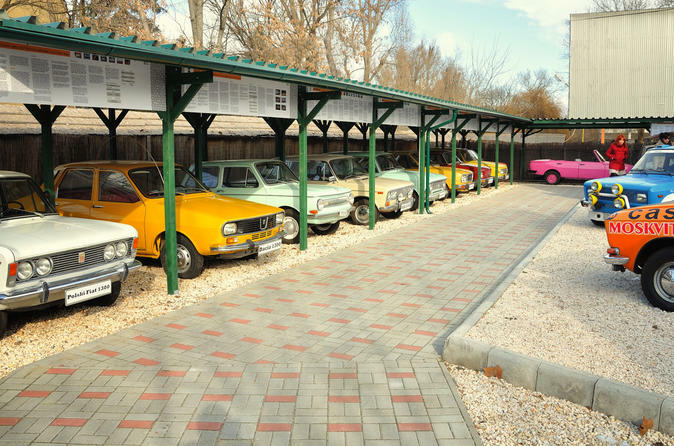 Retro Design Center is a private collection of artefacts, including cars, motorcycles and everyday objects from the 1970s and 1980s representing the State-Socialist (or Communist) Era.